Due to popular request, I have installed some forum software. You can get to the forums by clicking on “Forum” in the top navigator bar. Keep in mind that this is in the early early beta stage. I’ll change the theme, add some plugins, etc. I’m opening it [prematurely] simply to see if it works. You can send them to jacob at earlyre… (you know, the usual address). Update: Well, it seems to be working, so head over to the forums and ask some questions. 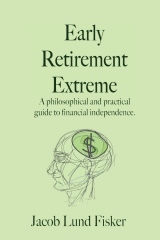 12 users responded in " Early Retirement Extreme Forums "
Good software and good idea. I feel this forum will be valuable to all the blog readers. Wow, thats an awesome idea. A blog with its own forum, cool. Are there many of those around? None of the forums I visit have blogs and and all the blogs I go to have (well, use not to have) forums. I wonder how this will impact your blogging (maybe you’ll become less motivated?). On the other hand I’m sure it will increase both your average visit length and also your sites passivity (amount of posts that you need to make to keep your daily hits up). @Zamatar – GetRichSlowly.org is the only blog I’m aware of that has forums. GREAT idea, Jacob. Thank you. StevePavlina.com is another blog with a forum. Love the forums idea! I think it gives the site more room to grow and evolve. Good job on the forums! I have only one suggestion, make sure the forums URL doesn’t say “forums” in it. At corporate work places, they have software that scans URLs for keywords. For example, at my place of business, I can’t go to a URL that has the word forum in it or it automatically gets blocked. I just figured I would let you know. Words like forum and chat will trigger the block. Great work though, I’m glad things are coming together. Now that you’ve granted my request, I’m stuck in double shift hell for the next two or three weeks…meaning I can barely interact! Flurry of comments and Forum use to come soon! So you did it after all! I think it will turn out to be a good thing. In any case, nice design!